How an Open Repair Order Could Affect Your Lemon Law Claim | The Consumer Law Group, P.C. What is an “open repair” and how could it affect my Virginia Lemon Law claim? Anytime you have to return a new car to the dealership to diagnose and repair a problem, it is a major annoyance. After all, didn’t you buy a new car so that you would have reliable transportation and not have to make trips to the mechanic? The good news is that new cars are under warranty and, other than the inconvenience of being without your car, the repair shouldn’t cost you anything. But how do you know when this minor annoyance could turn into a major problem and what should you do to protect yourself? We give you advice on what to avoid here. It may sound harmless enough. You take your car into the dealer for a problem and the mechanic diagnoses the issue and tells you he needs to order a part. You are told you can take the car home to wait for the part to come in and they will just leave the order “open” until the part comes in and the repair is completed. Another possible scenario is when the mechanic cannot figure out what is wrong with the car. He may tell you to keep driving it to see if the problem persists, and in the meantime, will keep the repair order open. Seems reasonable—but the reality is you want to avoid open repair orders if at all possible. Ask for a signed copy of the repair order each time you take your car in. Each time you take your vehicle home, even if it has not been repaired, ask the dealer to close out the repair order ticket and give you a copy of the invoice. Make sure the invoice specifies what was done to diagnose the problem, what parts are on order, the “in/out” dates, and “miles in/miles out” documentation. 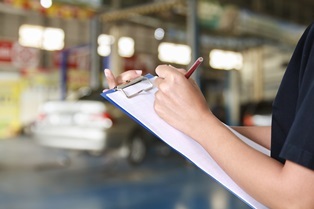 Understand that you have a right to all documentation about vehicle repairs and that you should keep these orders and invoices for your records. If you have questions about your auto repair associated with a Lemon Law Claim contact The Consumer Law Group today at 804.282.7900.